The Martin MAC 250 Entour includes all the features of the MAC 250 Krypton plus a number of added features, including a new achromatic lens system and additional gobo wheel. The enhanced optical system produces unsurpassed quality imaging, which together with the added array of graphical effects, make the Entour an even more powerful lighting tool. • High precision achromatic optics with a beam angle of 17 degrees. • 7 slot, plus open rotating gobo wheel with 16 bit precision. It features a specially designed dimming system for exceptionally smooth and even dimming. By achieving new standards in light output and image quality, the Entour is ideal for environments where powerful effects are required like stage, studio and event applications, permanent installations and much more. In the Martin MAC 250 Entour, a new 17-degree achromatic lens system produces razor sharp picture quality. A narrow angle 14-degree lens is also included with the Entour for longer projection throws. A full range dimmer/shutter is very fast and allows for smooth color and effect transitions through easy variation of the light intensity. Strobe effects are possible up to 20 Hz. Rich color shades are provided from a motorized color wheel housing 12 dichroic color filters plus open with split position possibilities. All color filters are replaceable, and with a wide variety of optional colors available, designers can customize the color palette to fit their needs. The MAC 2000 inspired modular housing is not only good looking; it is designed to make service and maintenance simple with fast access to modules and critical components. The Entour comes in black, white or titanium finish. The Entour features an enhanced high-resolution dimming system similar to the MAC 2000 that provides exceptionally smooth and even dimming. Strobe effects are possible up to 20 Hz. A bi-directional, 3-facet prism is smooth and rotates at variable speeds, adding unique effects to gobo projection. The prism can also be replaced giving lighting professionals an added customizable feature. The unit is also equipped with a remote focus for additional effect possibilities, as well as various preset patterns for valuable programming timesavings. 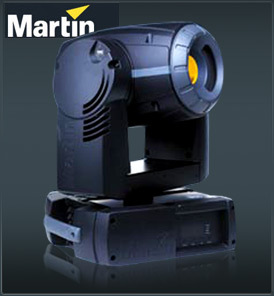 The latest in pan and tilt motor technology produces both smooth and ultra-rapid movement, making the new MAC 250 fixtures the fastest moving heads that Martin has ever produced. Movement range is 540° of pan x 257° of tilt. If knocked out of position, a high-speed, automatic reset function realigns the fixture in seconds. The Entour includes two additional features: an easily accessible, multi-position tilt lock eases handling when moved on a frequent basis, and a convenient, low noise operation mode is included for noise sensitive studio environments. The Martin MAC 250 Entour is equipped with 3 and 5 pin XLR IN/OUT connectors for data and prepared for future new standards such as ACN or Ethernet based protocol. Also on board is a new light sensitive yellow LED display for easy fixture programming, and customized settings allow each user to cater the fixture to their liking. The display provides easy to use maintenance menus and concise error messages. A convenient, easily switchable power supply covers worldwide voltages and frequencies.